Millers Engine Flush should be added to the oil in an engine before a drain and refill is to take place. 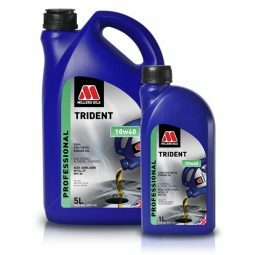 This product ensures the engine is clean before new oil is put into the engine. Suitable for all car and light van petrol and diesel engines. DESCRIPTION: Millers Engine Flush should be added to the oil in an engine before a drain and refill is to take place. APPLICATION: All car and light van petrol and diesel engines. Add contents of bottle to oil in the engine – 250ml bottle will treat 4-6 litres of engine oil. Run engine for 15 to 20 minutes. Drain the oil, change the oil filter and refill with the recommended grade of Millers engine oil. Ensures engine is clean before new oil is put into engine. Millers Engine Flush is supplied in the following sizes: 250ml. For further information, please see our full range of products available from our online shop. Health and Safety Data Sheet 5777 applies to Millers Tank Safe petrol additive. When used for the purpose recommended and with due regard to the appropriate Health and Safety Data, the product should cause no concern. If in doubt, consult with Millers Oils Technical Department.